I can't say I believe in Horoscopes, but what I think is interesting about fortune-telling avenues like Horoscopes and Tarot is that most of us encounter these forms of thinking and we either kind of like/agree with them, or we de-attach from them. Whether it is horoscopes, religious parables, or other people telling us who we are and what we are like, we all have the opportunity to embrace or reject these narratives. I haven't always been thrilled to have the sign of Cancer the Crab. As a kid, upon learning that I had been born under the sign of Cancer, I decided I wanted to be a Leo instead, because I loved cats and I thought lions were super cool. After all - Looking at a crab, how much personality can one draw from a beach-dwelling side-stepping critter? 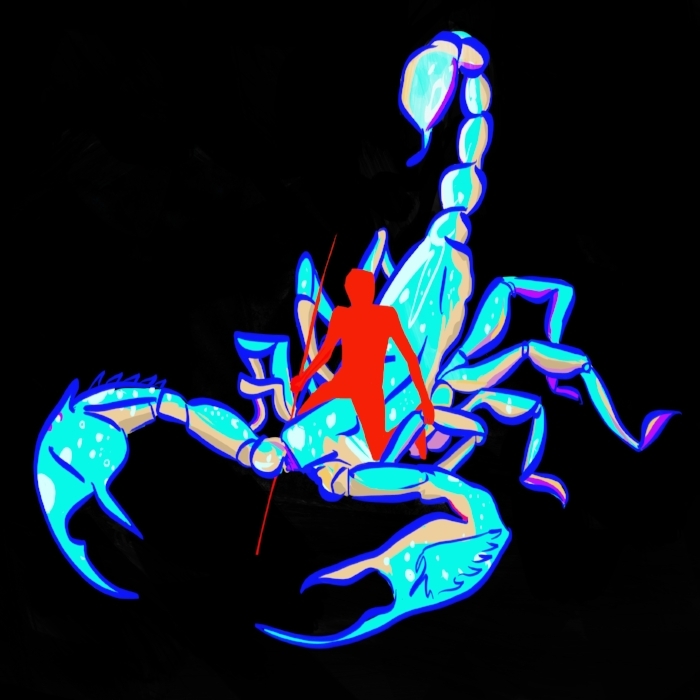 Cancer: "You like to stay inside your shell and protect your feelings. Wear blue on Thursday." Leo: "You are brave and outspoken, sometimes this gets you into trouble, but you are a trusted leader." Even as a kid, I knew in my heart that reading horoscopes was self-indulgent, fake, and not ultimately helpful - like watching too much TV. (OK, 90s TV was actually pretty rad, but you see what I mean). Horoscopes were a production, a set of arbitrated stories geared to make readers flattered with attention. But I read them anyways. I was pseudo-objectively a Cancer under the deigning of Horoscopes, but in my heart, I decided to follow Leo. Think of my joy, several years later, when I discovered that in the Chinese Zodiac, I was a Tiger. This I could agree with! Finally - a set of beliefs that aligned my personality to a freakin cool brave cat! Lately, I've begun to think about all of the snippets of words in our lives to which we we semi-listen, despite not agreeing or really believing them. Like the horoscope, we know they are bogus, yet we read them anyways. Overly dramatic news headlines, stupid tweets, Amazon reviews, slogans on billboards... How do these words influence us? How much rational energy can we apply towards rejecting words and stories until we finally sort of start to believe the story? Life today involves a near-constant bombardment of messaging - sure, we know the model in the Ralph Lauren advertisement is photoshopped into an unattainable oblivion, we know it is as fake as oscillations across the curtain of Oz, I'm a smart person, you're a smart person, we all have eyes, brains, postmodern hearts ... but isn't the advertisement persuasive nonetheless? Next on my horoscope list is: Capricorn, Leo, Taurus, and Libra.